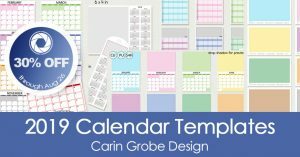 Making your own calendar is not only fun, but it will also make sure you have something nice to look at every month – and they make awesome presents for family and friends, as well! 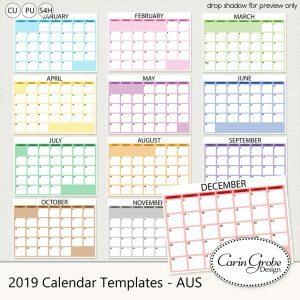 And now you can get your 2019 calendars done in snap with my easy to use calendar templates. Just drop in your photos, add some embellishments and you’re done. Text layers (months, weekdays, day numbers) are fully editable in the layered versions. 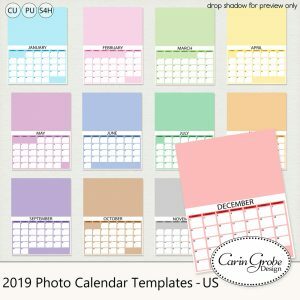 So hop on over to my store at Digital Scrapbooking Studio and take a look. 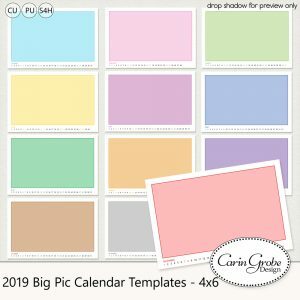 My complete range of calendar templates for 2019 is on sale for 30 % off until August 26th! 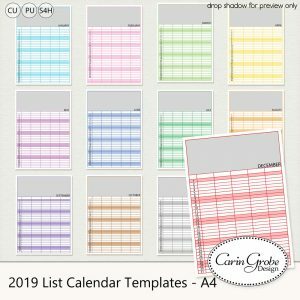 I’m offering 4 different types of templates, all in different regional versions: letter or A4 size, weeks starting on Sunday or Monday – there’s a version for everybody. Plus, there are some great bundled deals, as well, for 50 % off! If you’re looking for inspiration – there are some wonderful examples in the Studio’s gallery. 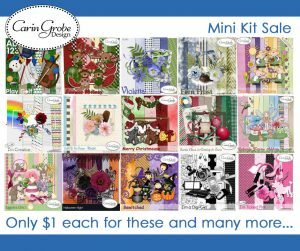 And if you’re looking for a deal on “supplies” to decorate your calendars – may I recommend this week’s $1 Minikit Sale @ the Studio?